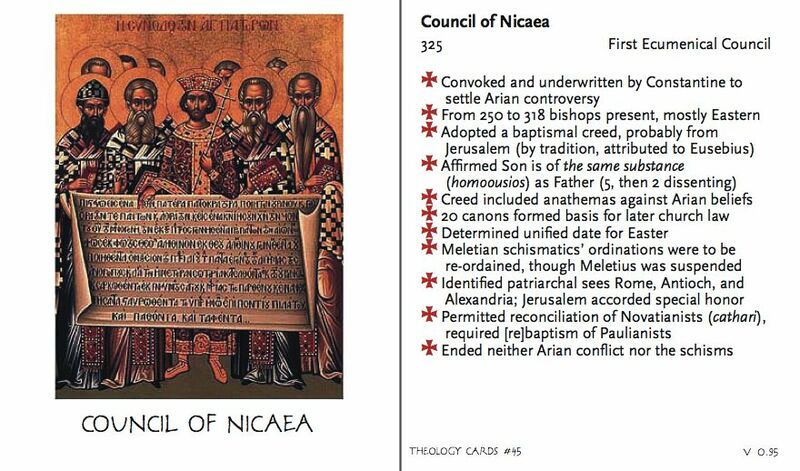 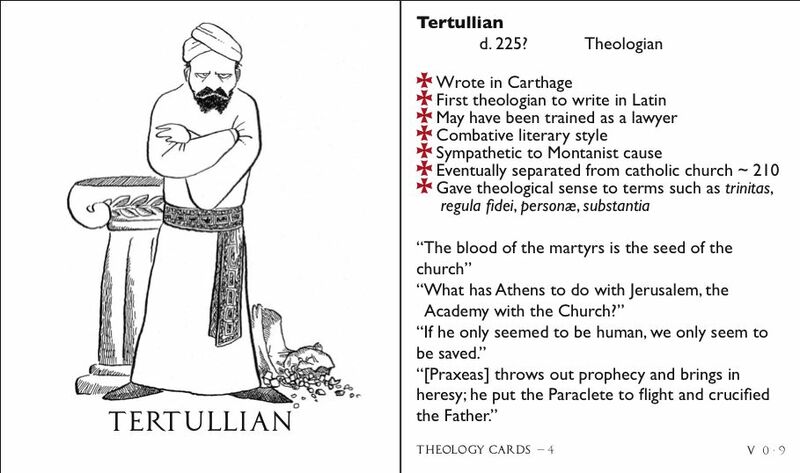 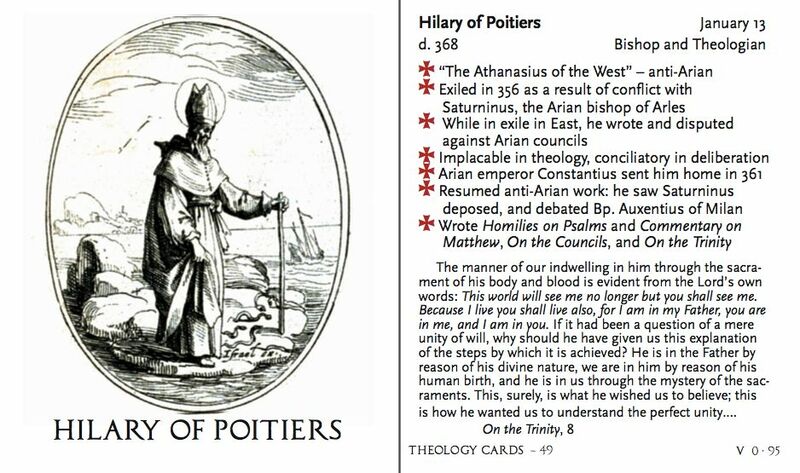 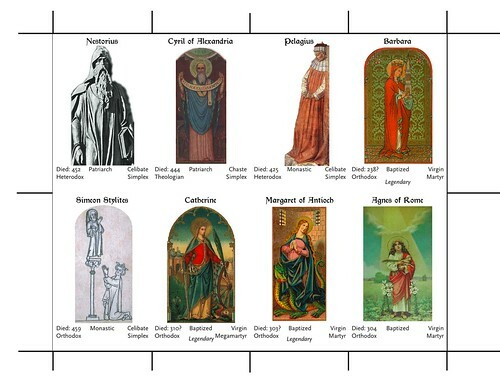 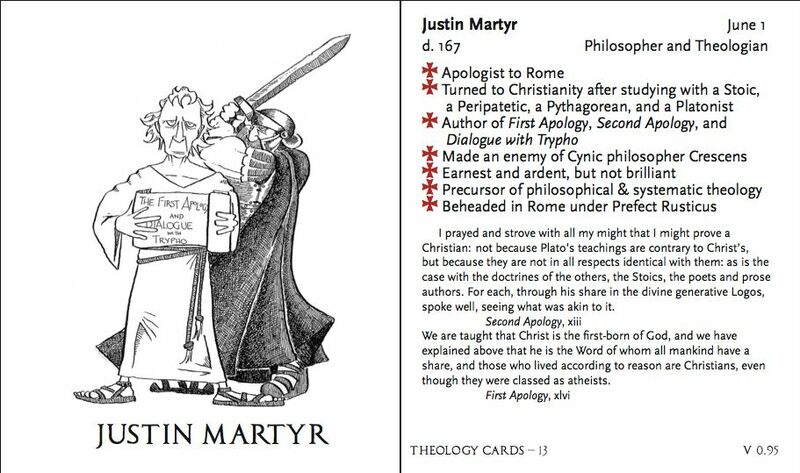 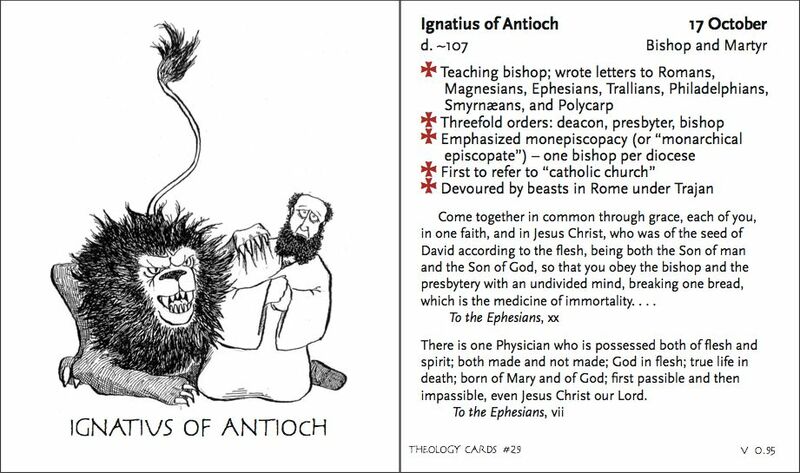 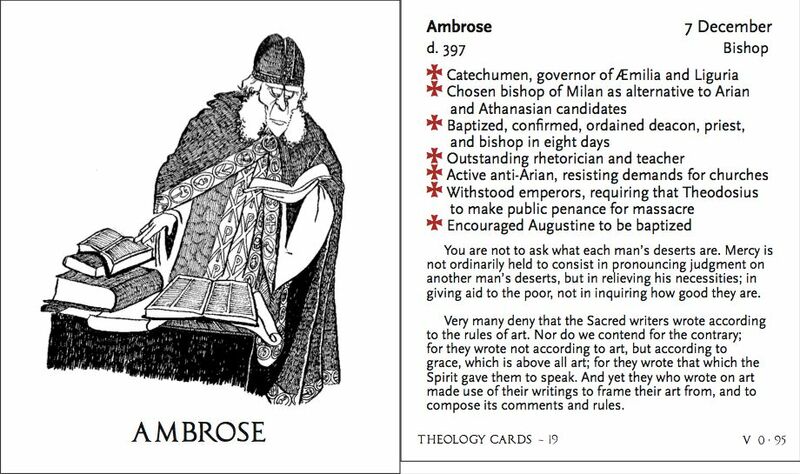 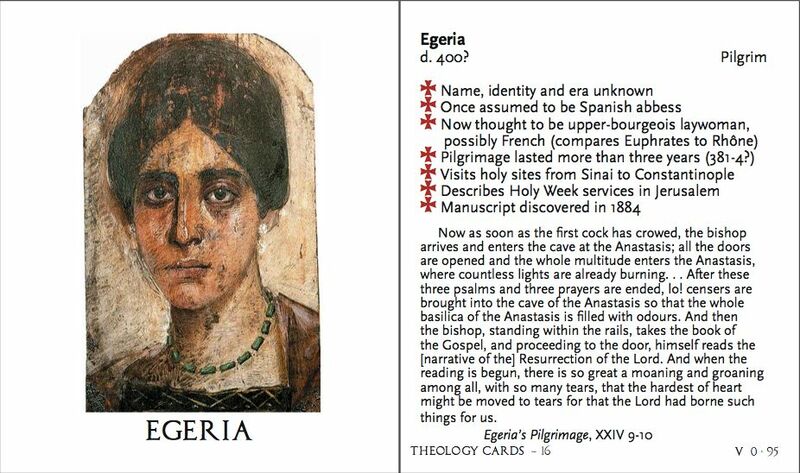 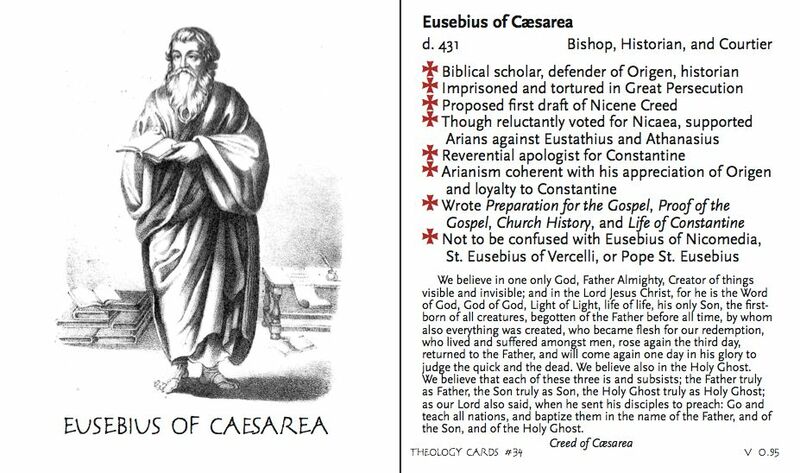 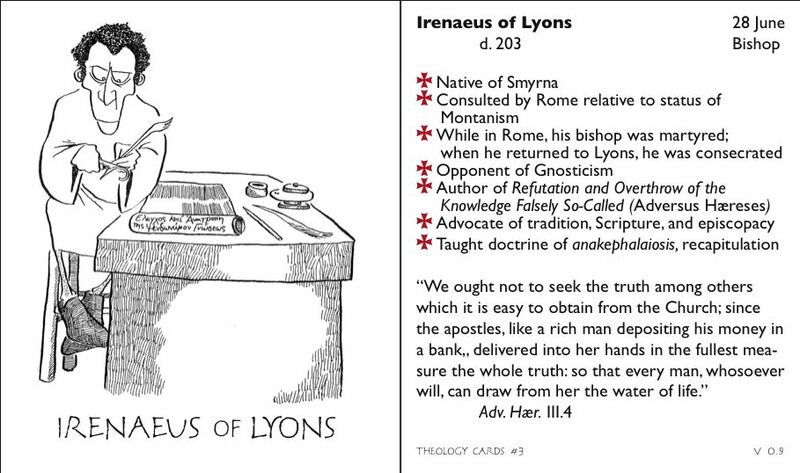 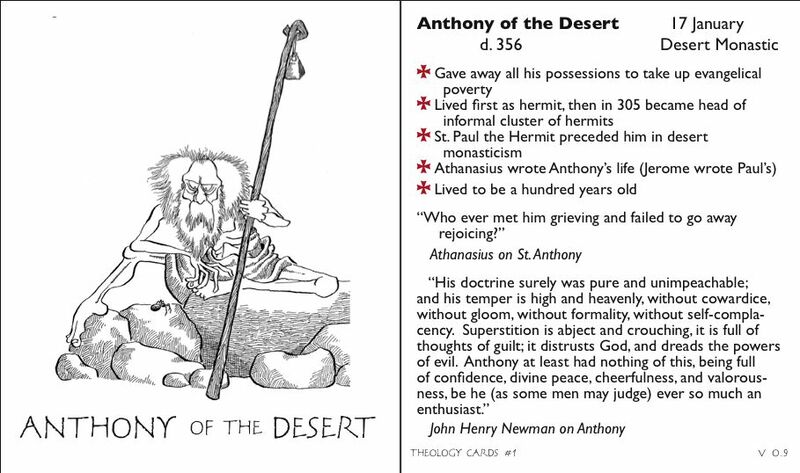 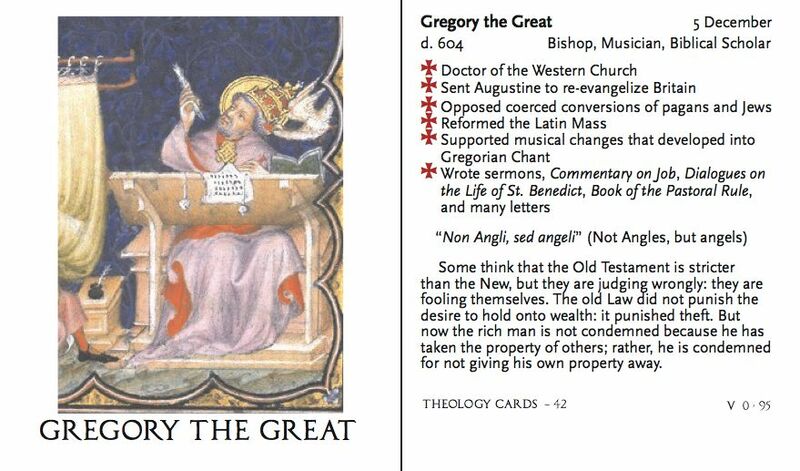 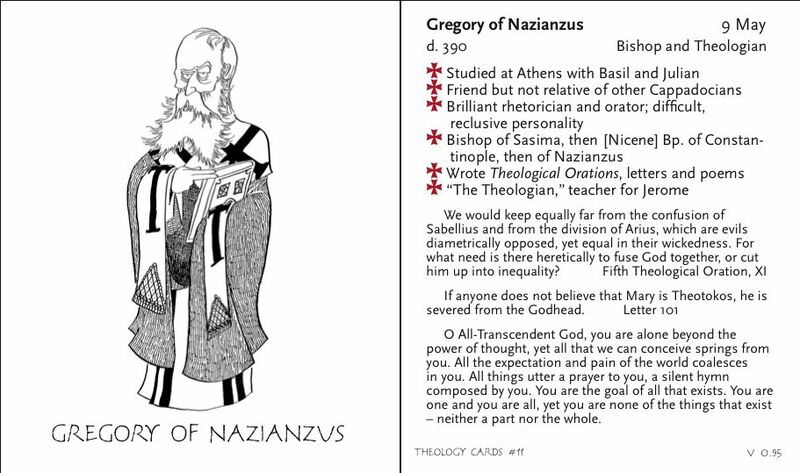 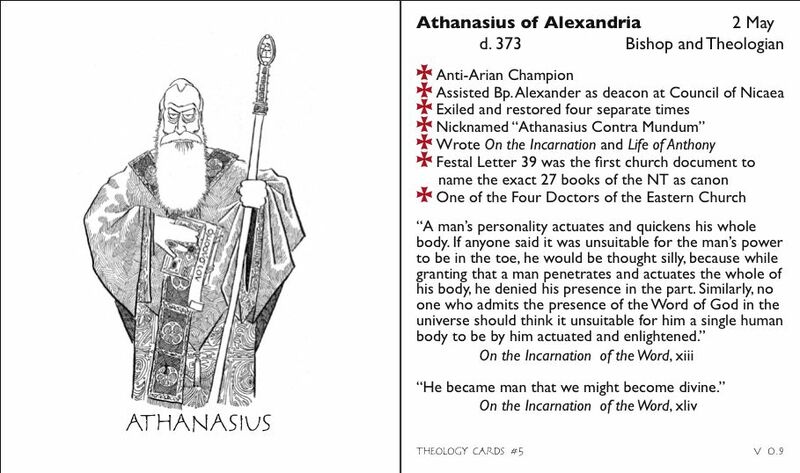 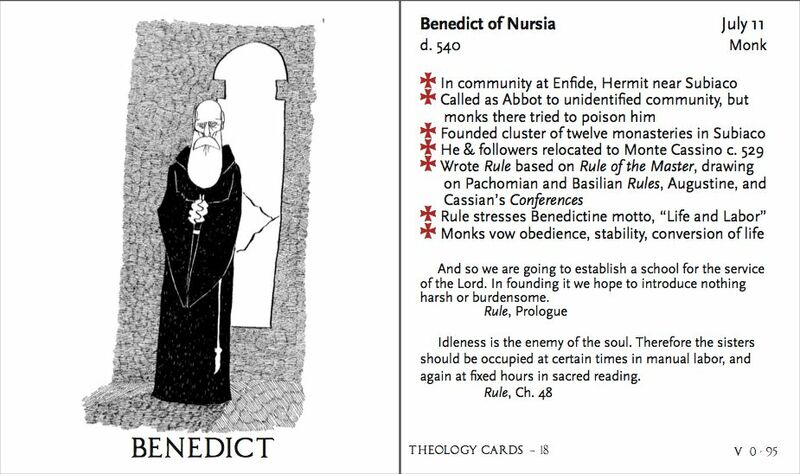 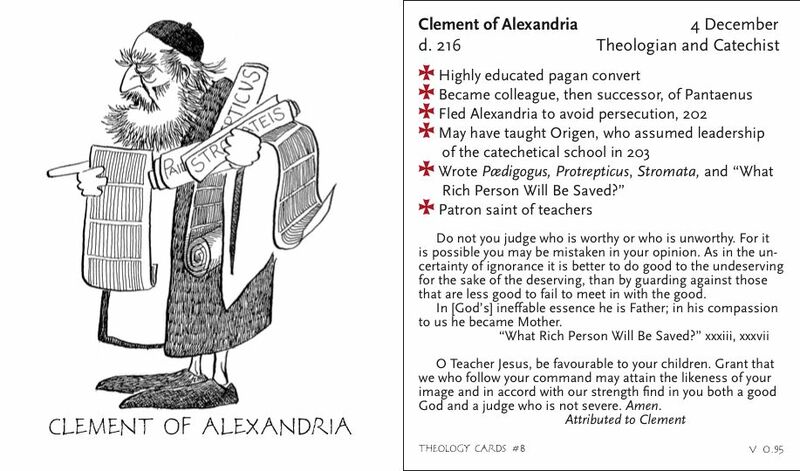 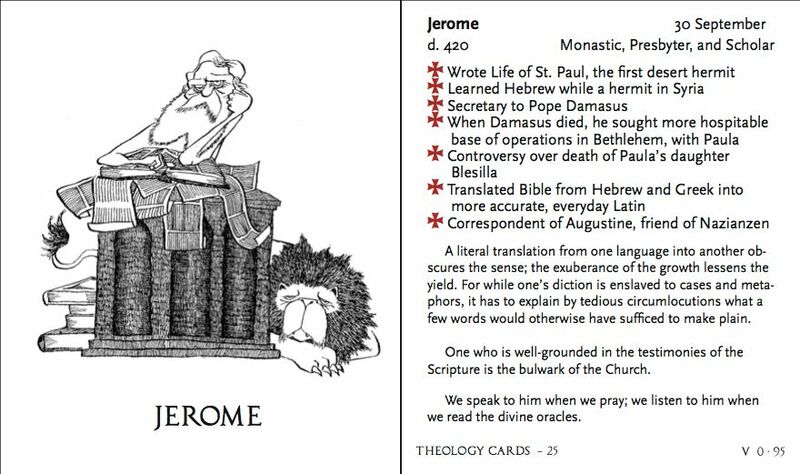 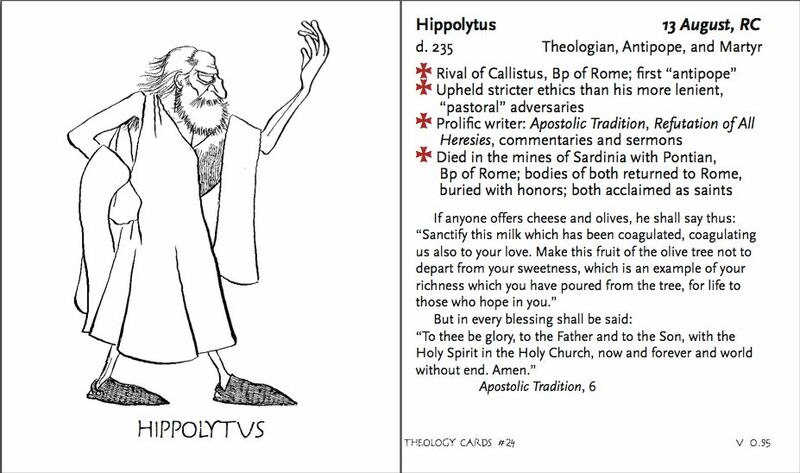 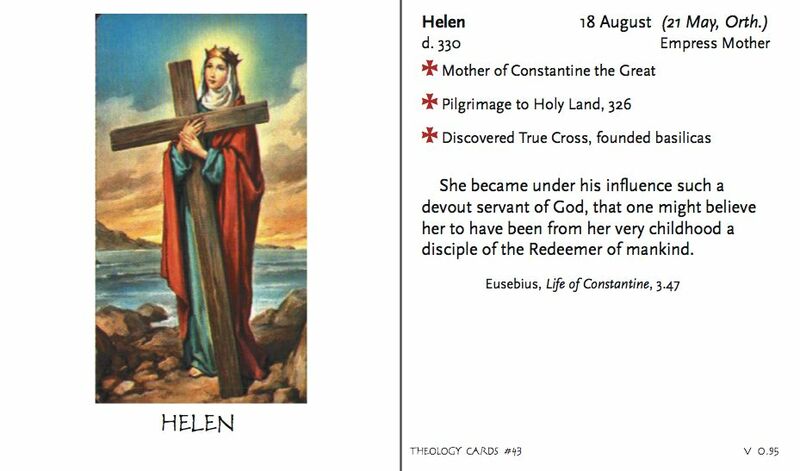 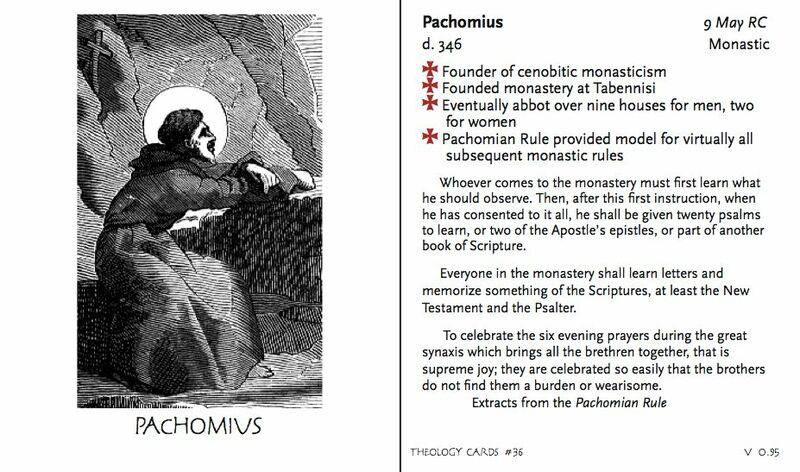 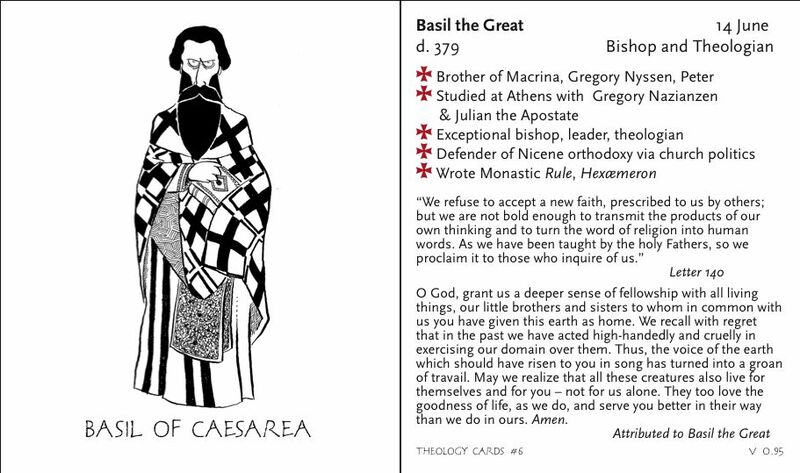 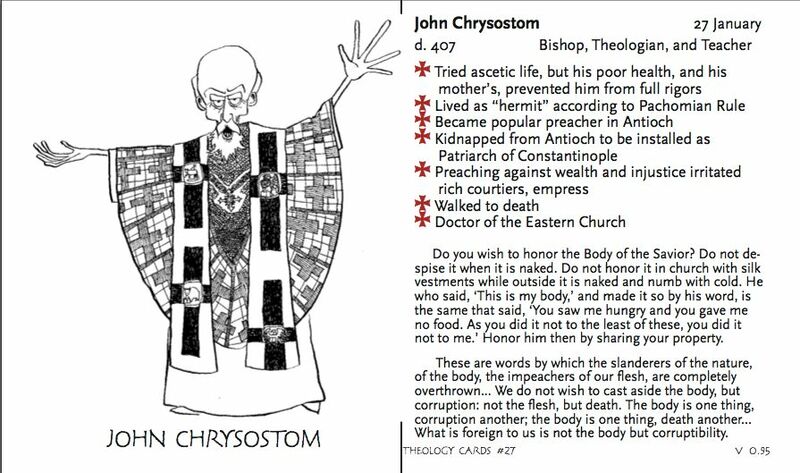 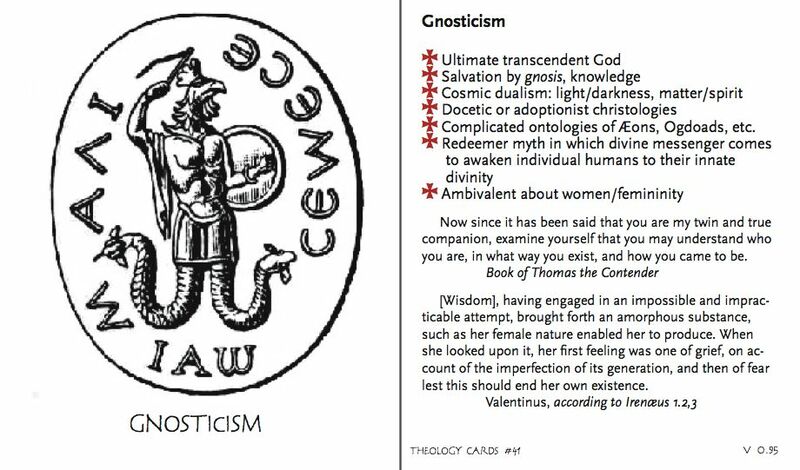 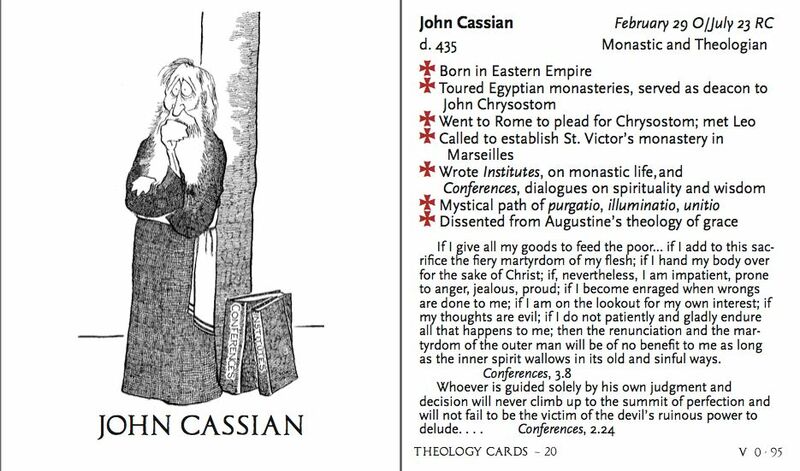 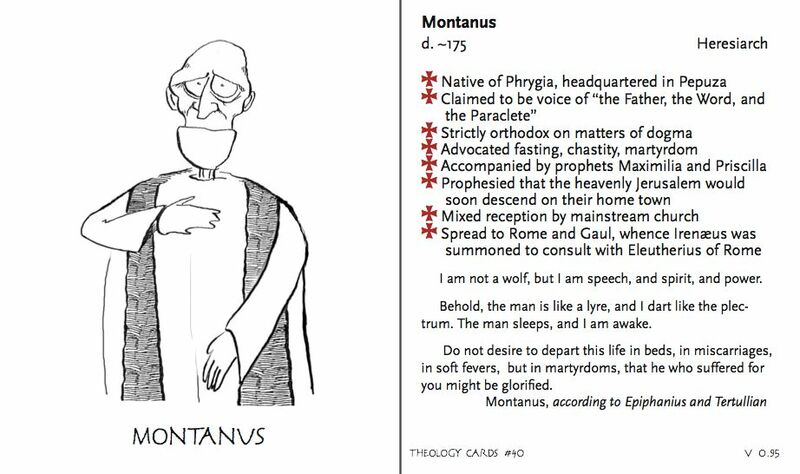 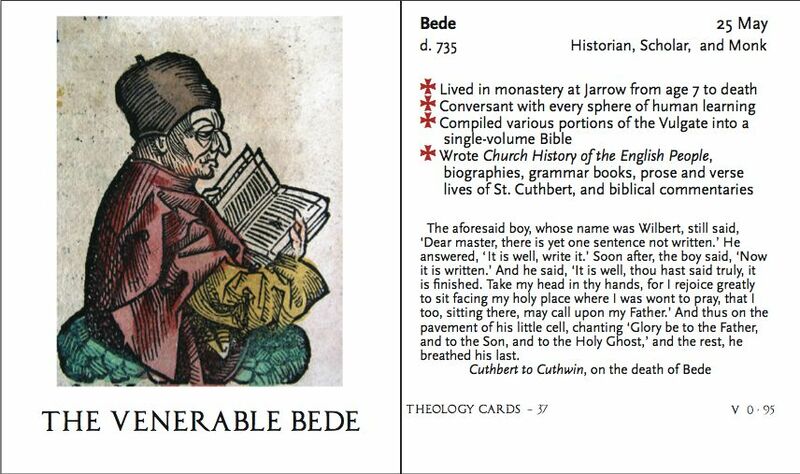 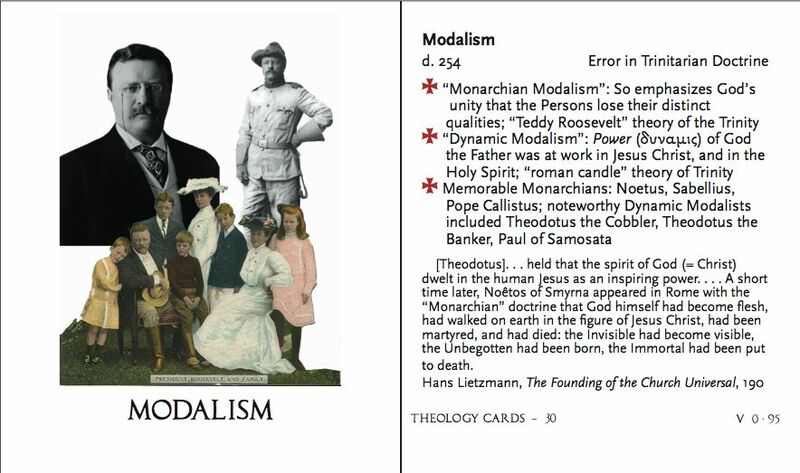 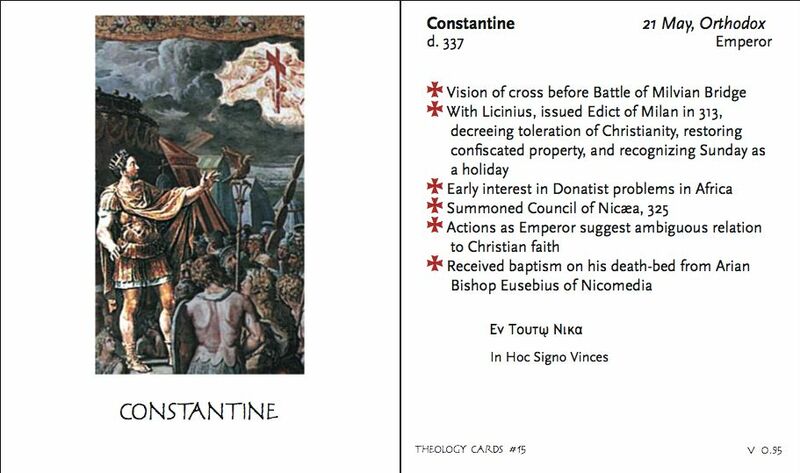 When we resurrected the Disseminary site, we never got around to restoring links to our theology cards (the individual theologian cards, not the game). 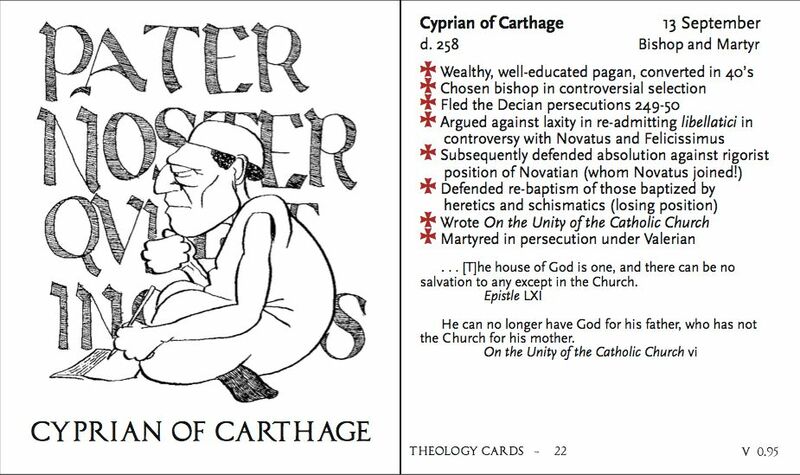 Hereafter follow links to all the cards we have online. 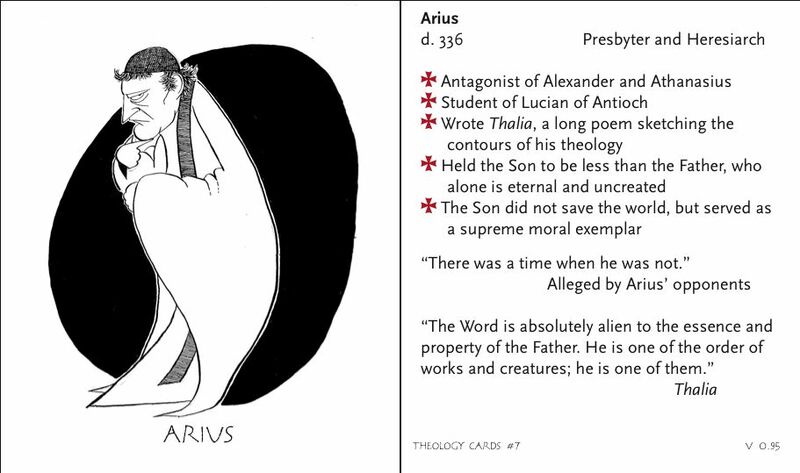 In the late 19th century, Benziger Brothers published a calendar of the saints with short biographical accounts and illustrative etchings; we’re uploading scans of the etchings to our Flickr site. 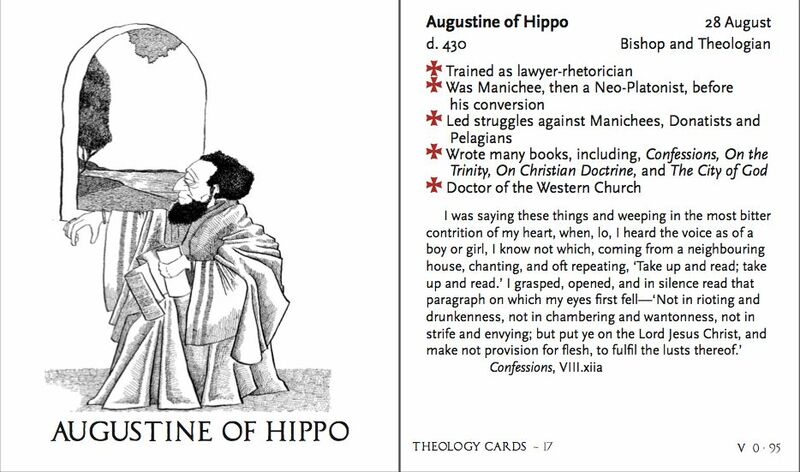 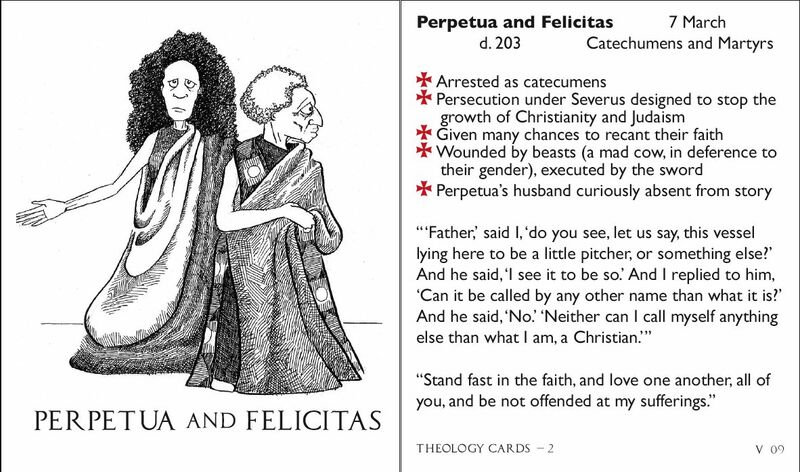 In conversation with several ingenious neighbors, we’ve developed a card game for my Early Church History class (several wandering students test-played it yesterday afternoon in my office, and it went splendidly). 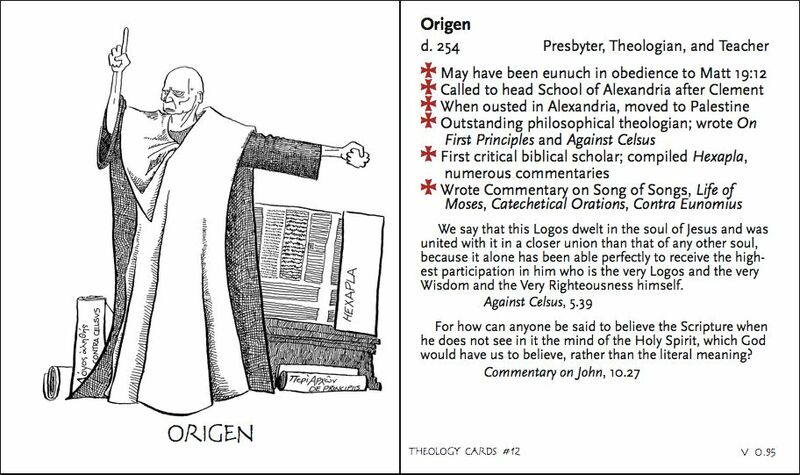 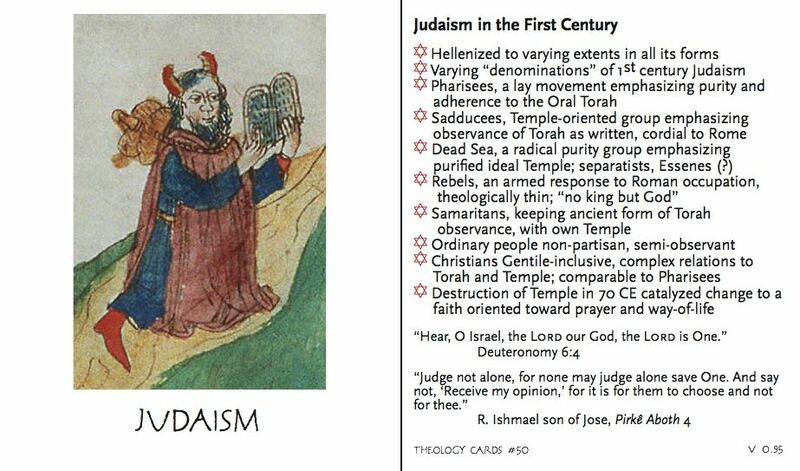 The degrees of Orthodoxy are: Heresiarch, Heretic, Heterodox, Ambiguous, Orthodox, Theologian, and Doctor. 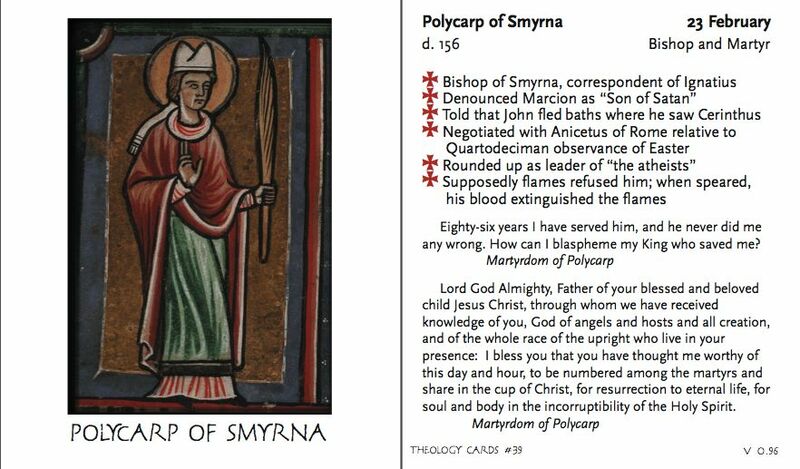 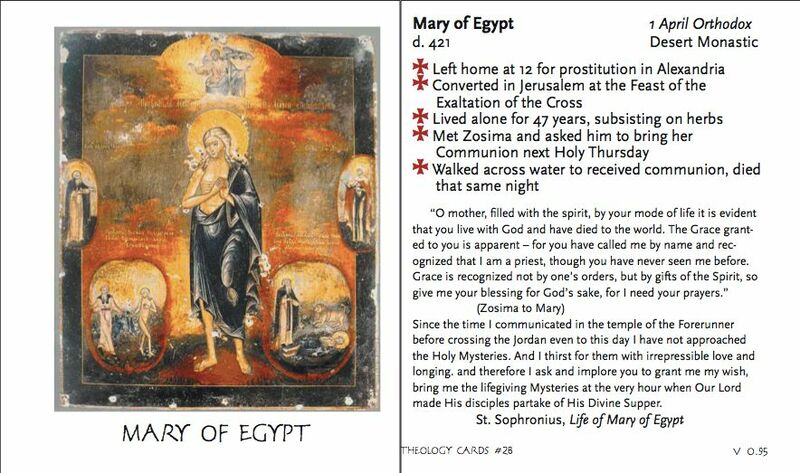 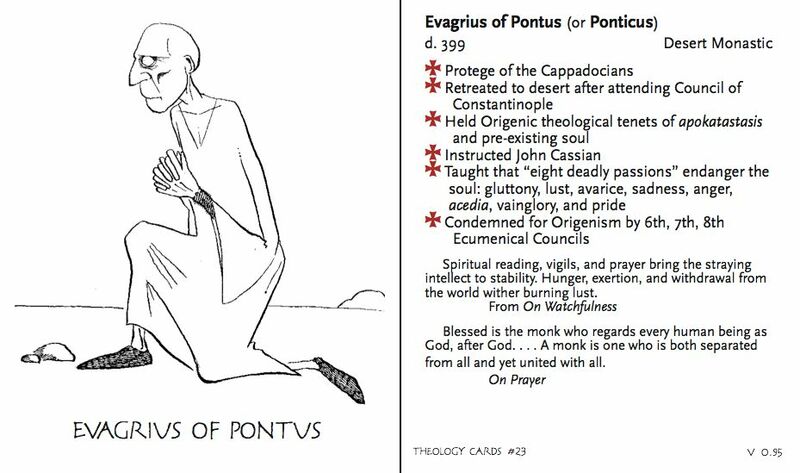 The degrees of Martyrdom are: Megamartyr (a martyr under extraordinary circumstances), Martyr, Confessor, Exile, Simplex (for those who just plain died). 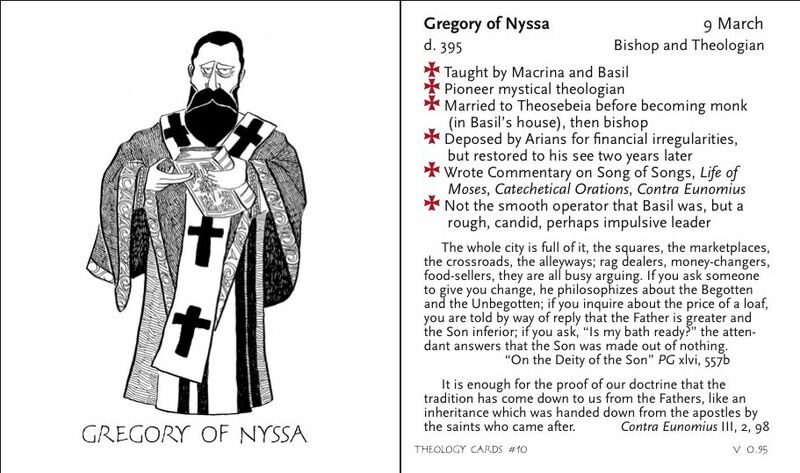 Multi-Player Option: If more than two players are to play, each will choose a category in turn. 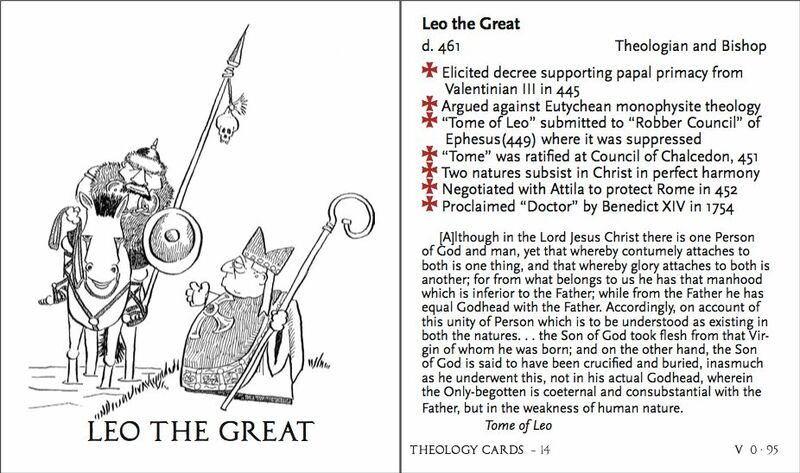 If the first player’s choice results in a tie, the second player’s choice will decide who gets all the cards; if the second player’s choice results in a tie, the third player’s category choice will decide. 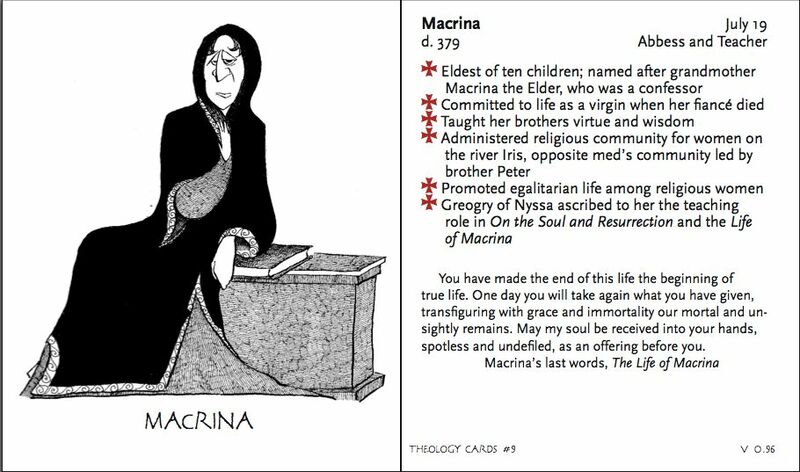 In the improbable event that all categories match, the last player wins the cards for that turn.